Just when some we were making progress, a proposal from local fishermen this month to use large, industrial size boats for shrimp trawling in the only home of the Vaquita porpoise would seriously undermine conservation efforts when we need it most. Ask the Mexican government to prohibit shrimp trawling in key Vaquita habitat. 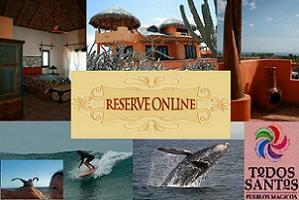 Send a message to the Mexican government by clicking HERE. 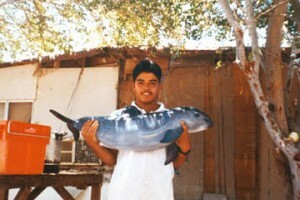 The Vaquita (Spanish for the “little cow“) is a rare porpoise found in the northern part of the Sea of Cortez. It’s the smallest of all porpoise (growing up to 5 feet and around 110 pounds) and is the only cetaceans endemic to Mexico. Recent estimates place the remaining population at 150, with upwards of 40 dying each year. The vaquita is listed as critically endangered by IUCN (the World Conservation Union), as in danger of extinction according to the Mexican Official Standard NOM-059- SEMARNAT-2006, and as endangered by the US Endangered Species Act. Although the Vaquita have never been hunted directly, that the species remained was only confirmed by a dedicated survey in 1985. However it is known that the population is declining, primarily due to gillnets intended for the totoaba. CIRVA, the Committee for the Recovery of the Vaquita, concluded in 2000 that between 39 and 84 individuals are killed each year by such gillnets. In order to try to prevent extinction, the Mexican government has created a nature reserve covering the upper part of the Gulf of California and the Colorado River delta. CIRVA is recommending that this reserve be extended southwards to cover the full known area of the Vaquita’s range and that trawlers be completely banned from the reserve area. The Vaquita is one of the top 100 EDGE Species, “Evolutionarily Distinct, Globally Endangered”, having no close relatives and representing proportionally more of the tree of life than other species. In 2008 Canada, Mexico, and the United States, under the NAFTA’s environmental provisions, launched the “North American Conservation Action Plan (NACAP) for the Vaquita.” The NACAP is a strategy to support Mexico’s efforts to recover the Vaquita, which is considered the world’s most-endangered marine mammal. This existing plan falls short, especially in light of current proposals for an environmental impact statement to allow more shrimp trawling in the Sea of Cortez. CIRVA is now recommending that this reserve be extended southwards to cover the full known area of the Vaquita’s range and that trawlers be completely banned from the reserve area. Ask the Mexican government to prohibit exactly the type of activity that contributes to the loss. An Encounter with Vaquita. from Chris Johnson on Vimeo.